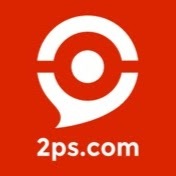 2PS is the Uber of consulting. But we want to favor the most fair and objective relationship between our members and their clients. We want to make sure we recommend the most suitable professionals for your needs, and that we reward the professionals that bring the most value to you. Every consultant that joins 2PS, no matter their previous experience, leaves their 'experience' and 'title' at the door. All consultants are screened for quality, but we don't look for a specific amount of experience or a previous 'prestigious' title. We let the consultants show off their previous experience on their profile if they like, but to the system that matches client needs with consultants, it does not make a difference. Why do we do this? Because we believe that a big name on a resumé or a nice piece of paper from a nice school does not define someone's abilities. Let's say you needed help with integrating a specific software into your department. Wouldn't you rather hire a recent university graduate with tonnes of extra-curricular involvement who can run great workshops on utilizing this technology, rather than a seasoned consultant with 20 years of experience in the Big 4, a diploma from Harvard, but no knowledge of the software you need? "Experience" is relative to your needs, and so we don't want to limit people by their past. We want to be useful. However, if we were to keep clearing someone's past experience and getting them to start over, that would not be fair to them either (and it would be quite counterproductive, actually). When the Uber system picks a driver for you, it is simply based on the driver's availability and their distance from you. But for 2PS, the Uber of consulting, it is a little more sophisticated. If we want to recommend you the best person to do the job, we need to know what they are good at. Without taking their experience into account, the only way we can do this is by believing what they say. While this is fine - we trust our consultants - we agree that there should be a more scientific way to determine someone's expertise. Our system is programmed to remember what a consultant works on, and automatically recommend them for similar services in the future. This way, the experiences they accumulate through 2PS count towards their future assignments. Moreover, our system records and interprets who the consultant works with, if a client returns after working with that consultant, allowing us to learn more about the consultant using data, with objectivity. We want to reward both clients and consultants. We designed our platform in a way that rewards specific activities. It does this through awarding and taking away points we call Sharing Points. Sharing Points are what determine which consultants are given more clients, recommended to other consultants to collaborate with, and given exclusive rights in the 2PS network. It's kind of like a ranking system for players in a game - the more experience you have in the game, the more cool things you do, and the more challenges you complete, the more points you get and the more new features are unlocked. So what increases a consultant's Sharing Points? We reward proactive, solution-focused, collaborative members of our network, because we believe that they are the ones who are most profitable to your business. In one word, we reward cross-selling! We want to ensure that when a consultant knows they themselves are not the best person for the job, they will refer another network member, instead of being selfish and attempting to help the client anyway. When they cross-sell another consultant's services to their client, they get more Sharing Points, which gets them more clients in the future. This is an incentive for the consultants to share and be transparent with their clients. A consultant's 'pre-2PS life' does not make a difference within the network, and once they are in the network, their status depends solely on what they achieve within the network. This way, we are able to make things fair for our consultants, and offer our clients the ideal consultant for the job with the most up-to-date advice - just like the GPS on your phone is able to offer you the most suitable Uber driver.